Ultimate writing comfort in a stick pen. Soft feel barrel for ultimate writing comfort. 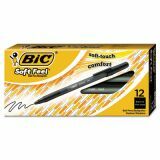 BIC Soft Feel Stick Ballpoint Pen, Medium 1mm, Black Ink & Barrel, Dozen - Write in comfort with the BIC Soft Feel Stick Ball Pen. 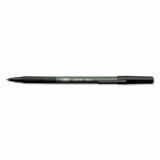 Stick pens feature a rubberized round barrel with ringed finger grip to provide comfort and added traction. Color-coded barrel indicates ink color. 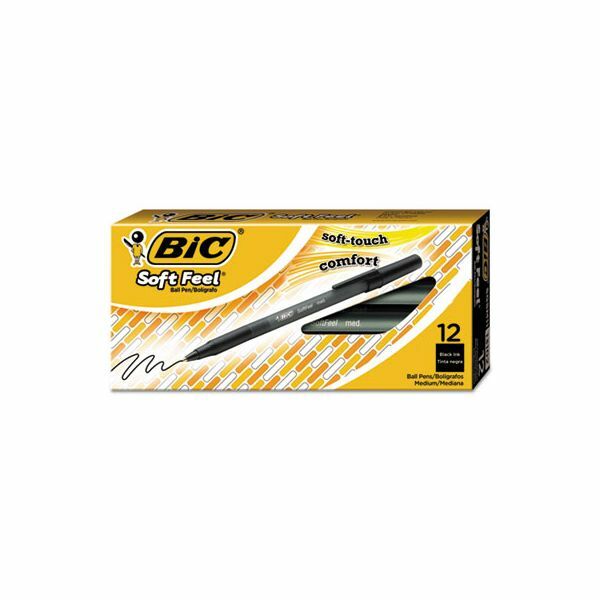 This black ball pen boasts a pocket clip on the ventilated cap for easy storage on binders, backpacks or shirt pockets. Its standard black ink makes it an ideal addition to any home or office. Ballpoint pens are nonrefillable. The box contains a dozen pens.